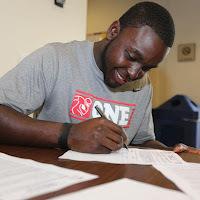 Before rookies Montee Ball and Kayvon Webster agreed to terms with the Denver Broncos on Thursday, the team had $12,433,631 million in available 2013 cap space, per Spotrac.com. That's out of the allotted $123,000,000 million salary cap figures that NFL teams have to work with in 2013. The Broncos created additional space earlier today but cutting veteran running back Willis McGahee, freeing up $4.5 million over the next two years. Cutting McGahee will also cause a $1 million "dead money" cap hit. When players sign contracts that include "signing bonuses," that money is guaranteed to be paid (right away). But the NFL spreads out the payments to hit the team's salary cap each year throughout the player's contract. That means when McGahee signed a four-year deal that included a $2 million signing bonus in 2011, the Broncos would have a $500,000 cap hit each season for the next four years. And because that money was guaranteed, the Broncos have $500K cap hits in 2013 and 2014, totaling $1 million. Back to available funds—as noted above, the team had just over $12 million before signing two rookies earlier today. After those two signings, the team probably has around $6 million remaining. The Denver Post's Mike Klis reported that Ball's four-year deal is worth "around" $3.5 million and that Webster's is worth "around" $2.7 million. If Klis' figures are accurate, the two rookies will account for $6.2 million of the team's salary cap over the next four years. Updated: Somehow I counted Ball's and Webster's four year deals to count all against the cap in 2013. That is not the case; their deals will be spread out over the next four seasons. Please overlook this oversight on my part. That means the team currently has around $6,233,631 remaining in 2013 cap room, with one rookie—first round draft pick defensive tackle Sylvester Williams—still to sign. According to Klis, Williams' contract will be worth $7.6 million, which is more than what the team currently has (if our figures are right—and they might not be). But the Broncos still have plenty of time to get Williams signed (don't panic). More cuts are expected to come that will free up more cap room (here's looking at you, Joe Mays and Chris Kuper), and the Broncos have plenty of time to get everybody signed and under the cap. After a few more cuts, Williams will likely become is the team's highest priority, followed by left tackle Ryan Clady. After Clady, players including punter Britton Colquitt and wide receivers Eric Decker and Demaryius Thomas will be due extensions before too long, if the Broncos don't want to take the chance of them hitting the open market within the next two years. The team may want to start talking to linebacker Von Miller's agent, as well, considering Miller's four-year deal concludes following the 2014 season. It will cost a lot to extend Clady, Colquitt, Decker, and Thomas all within the next two years (assuming the team chooses to keep all four), and it will take some smart men to make it work and keep Denver under the salary cap. Fortunately for the Broncos, they have some very smart men negotiating contracts. Shortly after John Elway took over as the team's executive vice president of football operations in 2011, he began bringing in new faces across in organization. In February of 2012, he hired Mike Sullivan as the team's new director of football administration. That's a fancy title for the man that negotiates player contracts and keeps the team under the cap. Sullivan has been negotiating NFL contracts for more than 25 years and has even spent time as an agent, representing the players. To put it simply, Sullivan knows his stuff. And it has shown since he took over. The most costly contract Sullivan has negotiated is the five-year, $96 million deal the team agreed to with quarterback Peyton Manning last offseason, and even that deal has great value. Essentially, the Broncos get Manning's services for $19 million a year (approximately) with the option of dropping out of the contract at any time. "My contract is really four one-year deals. I wanted to be fair to the Broncos. I don't feel like I've put them in any type of a bind and I could go out there and play freely," Manning said of his contract earlier this month. Beyond Manning, Sullivan has negotiated few blockbuster contracts, working instead with Denver's front office to land quality players at a bargain price. Last offseason, the team locked up special teams ace Wesley Woodyard on a two-year, $5 million deal. That's an average of $2.5 million per season for a player that recorded 117 tackles, 5.5 sacks, a forced fumble and three interceptions in 2012. This offseason, the team landed veteran defenders Shaun Phillips and Quentin Jammer for just over $1 million each, a year removed from both players earning base salaries of $4 million-plus in 2012. That's the sign of solid negotiating on the Broncos' end, signing players to cap-friendly contracts. Even wide receiver Wes Welker's deal is a bargain, or at least it appears to be when considering what other teams were willing to pay him. 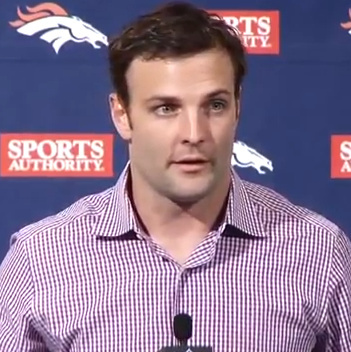 The Broncos landed Welker with a two-year, $12 million deal. According to NFL.com's Albert Breer, the Tennessee Titans offered Welker a two-year, $14 million deal with incentives that could push it to $16 million. Welker's former team, the New England Patriots, offered a slightly lower offer, but theirs also included incentives that could reach $16 million. The Titans' offer included $14 million in guaranteed money; Welker's deal with Denver includes $6 million in guarantees, according to Spotrac.com. That's a difference of $12 million in guaranteed dollars and at least $2 million in base salary. In Welker's case, choosing to go to Denver and play with Manning made more sense, than say, joining Jake Locker in Tennessee. But Welker's decision showed that (a) the veteran receiver cares more about winning than money and (b) the Broncos are willing to risk watching a player sign elsewhere over paying him more than he is worth. Fortunately for the Broncos, Welker didn't sign elsewhere. It's a cap-friendly strategy: Risk missing out on some of the big-name free-agents (and overpaying for them) and instead going the route of the better bargain, signing players for $6 million in guaranteed instead of $14 million guaranteed. In another case of Broncos and Titans negotiations, veteran guard Andy Levitre signed a six-year $46.8 million deal with Tennessee during free agency. Levitre is 27 and entering his fifth season. The Broncos were also in search of an offensive guard in March, and found their man in Louis Vasquez, a 26-year old offensive lineman entering his fifth season. Vasquez's contract? Four years, $23.5 million. Denver is paying Vasquez an average of $4.7 million per season while the Titans are paying Levitre nearly double that, at an average of $7.8 million per season. As of today, Levitre may be considered the better player, but the difference in performance is not great enough to justify paying essentially the same player double what another is making, just to make sure he doesn't land elsewhere. Since entering the NFL in 2009, Vasquez has allowed 11 sacks and has been penalized just once. Levitre, on the other hand, has allowed 11.25 sacks and has been penalized 18 times since 2009, according to hosted.stats.com. The Broncos found much better value than the Titans in this case, as seems to be the trend. Racing to sign Pro Bowl players to mega contracts with huge signing bonuses (guaranteed money) may help improve your team, but more often than not, it will ultimately lead to a lot of dead money. And dead money is not currently a big problem for the Broncos. The team has $7,838,635 million in dead money counting against the cap in 2013, but little of it was caused by contracts negotiated by Sullivan. 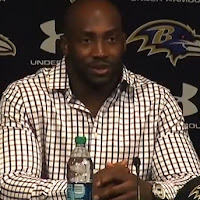 The Broncos have dead money cap hits going out to seven players, with former defensive end Elvis Dumervil being the biggest offender. In 2010, the Broncos' former regime signed Dumervil to a six-year, $61.5 million deal following his breakout, 17-sack season. 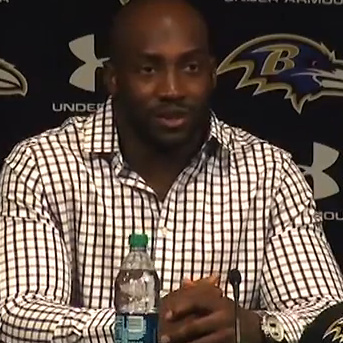 When the team released Dumervil this offseason, it caused a $4,869,000 cap hit. That's more than half of the team's dead money, and it came on the heels of a contract inherited from the former front office. The only 2013 dead money from contracts that were negotiated by Sullivan is $1,000 to linebacker Elliot Coffey, $1,667 to offensive tackle Mike Remmers, $3,334 to tight end Anothony Miller, $3,333 to cornerback Coryell Judie and $125,000 to quarterback Caleb Hanie. That's $134,334 in dead money created by Sullivan, who has now been negotiating Broncos contracts for two offseasons. Ideally, the Broncos would like to have no dead money against the cap, but it is unavoidable. So far, Sullivan has done an exceptional job at keeping the figure low. The Broncos have some work to do to stay under the salary cap, and it will take a lot of work to get both Williams and Clady under contract and still have enough to possibly extend additional players. But the Broncos have already shown that they know what they are doing. It's the business side of the game. And the Broncos do one heck of a job managing it. Thanks to Spotrac.com for the salary cap and contract figures.